Newsletter Editor for the "Webster Groves Nature Study Society"
Ted C. MacRae - известный американский энтомолог, незаурядный фотограф, член редколлегий нескольких журналов, создатель и редактор популярных веб-сайтов о жуках ( Beetles In The Bush и An Inordinate Fondness ). В библиотеке нашего сайта представлены статьи Теда, а на нескольких страницах использованы его фотографии. 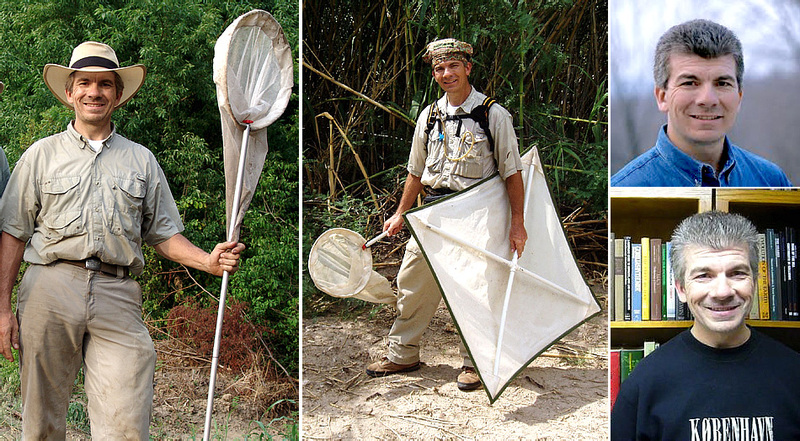 Ted C. MacRae is a research entomologist by vocation and beetle taxonomist by avocation. Primary expertise includes taxonomy and host associations of wood-boring beetles, include worldwide jewel beetles (Buprestidae) and North American longhorned beetles (Cerambycidae). More recent work has focused on North American tiger beetles (Cicindelidae) and their distribution, ecology, and conservation. Более подробно пишет Тед о себе на своем главном Интернет-сайте и мы скопировали этот рассказ. Андрей Лобанов, июль 2014 - июнь 2016 г.
Quisenberry, S. S., T. C. MacRae & T. R. Yonke. 1983. Preference of Forcipita loca (Homoptera: Cicadellidae) adults to forage plants. Environmental Entomology 12(4):1149-1153 [pdf]. MacRae, T. C. & T. R. Yonke. 1984. Life history of Forcipita loca (Homoptera: Cicadellidae) on three graminaceous hosts. Journal of the Kansas Entomological Society 51(1):69-78 [pdf]. Nelson, G. H. & T. C. MacRae. 1990. Additional notes on the biology and distribution of Buprestidae (Coleoptera) in North America, III. The Coleopterists Bulletin 44(3):349-354 [pdf]. MacRae, T. C. 1991. The Buprestidae (Coleoptera) of Missouri. Insecta Mundi 5(2):101-126 [pdf ]. MacRae, T. C. 1994. Annotated checklist of the longhorned beetles (Coleoptera: Cerambycidae and Disteniidae) known to occur in Missouri. Insecta Mundi 7(4) (1993):223-252 [pdf]. Nelson, G. H. & T. C. MacRae. 1994. Oaxacanthaxia nigroaenea Nelson and MacRae, a new species from Mexico (Coleoptera: Buprestidae). The Coleopterists Bulletin 48(2):149-152 [pdf]. Nelson, G. H., R. L. Westcott & T. C. MacRae. 1996. Miscellaneous notes on Buprestidae and Schizopodidae occurring in the United States and Canada, including descriptions of previously unknown sexes of six Agrilus Curtis (Coleoptera). The Coleopterists Bulletin 50(2):183-191 [pdf]. MacRae, T. C. 2000. Review of the genus Purpuricenus Dejean (Coleoptera: Cerambycidae) in North America. The Pan-Pacific Entomologist 76(3):137-169 [pdf]. MacRae, T. C. & S. R. Penn. 2001. Additional records of adventive Onthophagus Latreille (Coleoptera: Scarabaeidae) in North America. The Coleopterists Bulletin 55(1):59-60 [pdf] . MacRae, T. C. & G. H. Nelson. 2003. Distributional and biological notes on Buprestidae (Coleoptera) in North and Central America and the West Indies, with validation of one species. The Coleopterists Bulletin 57(1):57-70 [pdf]. MacRae, T. C. 2003. Mastogenius guayllabambensis MacRae, a new species from Ecuador (Coleoptera: Buprestidae: Haplostethini). The Coleopterists Bulletin 57(2):149-153 [pdf]. Sakalian, V., T. C. MacRae, S. Bílý & A. Sundholm. 2003. Comments on the proposed conservation of usage of Acmaeodera Eschscholtz, 1829 and Acmaeoderella Cobos, 1955 (Insecta, Coleoptera) by designation of Buprestis cylindrica Fabricius, 1775 as the type species of Acmaeodera. Bulletin of Zoological Nomenclature 60(3):218 pdf]. MacRae, T. C. 2003. Agrilus (s. str.) betulanigrae MacRae (Coleoptera: Buprestidae: Agrilini), a new species from North America, with comments on subgeneric placement and a key to the otiosus species-group in North America. Zootaxa 380:1-9 [pdf]. MacRae, T. C. 2004. Notes on host associations of Taphrocerus gracilis (Say) (Coleoptera: Buprestidae) and its life history in Missouri. The Coleopterists Bulletin 58(3):388-390 [pdf]. MacRae, T. C., M. E. Baur, B. J. Fitzpatrick, A.-G. Gao, J. C. Gamundi, L. A. Harrison, V. T. Kabuye, R. M. McPherson, J. A. Miklos, M. S. Paradise, A. S. Toedebusch & A. Viegas. 2005. Laboratory and field evaluations of transgenic soybean exhibiting high-dose expression of a synthetic Bacillus thuringiensis cry1A gene for control of Lepidoptera. Journal of Economic Entomology 98(2):577-587 [pdf]. Brown, C. R. & T. C. MacRae. 2005. Occurrence of Cicindela (Cicindelidia) trifasciata ascendens (Coleoptera: Cicindelidae) in Missouri. Cicindela 37(1-2):17-19 [pdf]. MacRae, T. C. 2006. Case 3302. Buprestis sexsignata Say, 1839 (Insecta, Coleoptera): proposed precedence of the specific name over those of Chrysobothris ignipes Gory & Laporte, 1838 and Chrysobothris germari Gory & Laporte, 1838. Bulletin of Zoological Nomenclature 63(1):36-38 [pdf, ICZN Ruling here]. MacRae, T. C. 2006. Distributional and biological notes on North American Buprestidae (Coleoptera), with comments on variation in Anthaxia (Haplanthaxia) viridicornis (Say) and A. (H.) viridfrons Gory. The Pan-Pacific Entomologist 82(2):166-199 [pdf]. Miklos, J. A., M. F. Alibhai, S. A. Bledig, D. C. Connor-Ward, A. Gao, B. A. Holmes, K. H. Kolacz, V. T. Kabuye, T. C. MacRae, M. S. Paradise, A. S. Toedebusch & L. A. Harrison. 2007. Characterization of soybean exhibiting high expression of a synthetic Bacillus thuringiensis cry1A transgene that confers a high degree of resistance to lepidopteran pests. Crop Science 47(1):148-157 [pdf]. MacRae, T. C., J. Rifkind, R. L. Westcott & P. Zabransky. 2007. Case 3335. Comments on the proposed fixation of the feminine gender of the genus Trachys Fabricius, 1801 (Insecta, Coleoptera) and the form of derivation of family-group names based on Trachys. Bulletin of Zoological Nomenclature 64(1):65-67 [pdf]. MacRae, T. C. & M. E. Rice. 2007. Distributional and biological observations on North American Cerambycidae (Coleoptera). The Coleopterists Bulletin 61(2):227-263 [pdf]. McPherson, R. M. & T. C. MacRae. 2009. Assessing lepidopteran abundance and crop injury in soybean lines exhibiting a sythetic Bacillus thuringiensis cry1A gene. Journal of Entomological Science 44(2):120-131 [pdf]. McPherson, R. M. & T. C. MacRae. 2009. Evaluation of transgenic soybean exhibiting high expression of a synthetic Bacillus thuringiensis cry1A transgene for suppressing lepidopteran population densities and crop injury. Journal of Economic Entomology 102(4):1640-1648 [pdf]. MacRae, T. C. 2009. The species of Purpuricenus Dejean (Coleoptera: Cerambycidae) occurring in Maryland. The Maryland Entomologist 5(1):5-10 [pdf]. Brown, C. R. & T. C. MacRae. 2011. Assessment of the conservation status of Habroscelimorpha circumpicta johnsonii (Fitch) in Missouri. CICINDELA 42(4) (2010):77-90 [pdf]. MacRae, T. C. & C. R. Brown. 2011. Distribution, seasonal occurrence and conservation status of Dromochorus pruinina (Casey) in Missouri. CICINDELA 43(1):1-13 [pdf]. MacRae, T. C. & C. R. Brown. 2011. Historical and contemporary occurrence of Cylindera (s. str.) celeripes (LeConte) (Coleoptera: Carabidae: Cicindelinae) and implications for its conservation. The Coleopterists Bulletin 65(3):230-241 [pdf]. Fothergill, K., C. B. Cross, K. V. Tindall, T. C. MacRae & C. R. Brown. 2011. Tetracha carolina L. (Coleoptera: Cicindelidae) associated with polypipe irrigation systems in southeastern Missouri agricultural lands. CICINDELA 43(3):45-58 [pdf]. MacRae, T. C., C. R. Brown & K. Fothergill. 2011. Distribution, seasonal occurrence and conservation status of Cylindera (s. str.) cursitans (LeConte) (Coleoptera: Cicindelidae) in Missouri. CICINDELA 43(3):59-74 [pdf]. MacRae, T. C. & R. L. Westcott. 2012. Nomenclatural history of Melanophila drummondi ab. nicolayi Obenberger, 1944 (Coleoptera: Buprestidae), a change of authorship and synonymy under Phaenops drummondi (Kirby 1837), and a new distribution record and summary of larval hosts for the species. The Pan-Pacific Entomologist 88(1):87-91 [pdf]. MacRae, T. C., L. G. Bezark & I. Swift. 2012. Notes on distribution and host plants of Cerambycidae (Coleoptera) from southern México. The Pan-Pacific Entomologist 88(2):173-184 [pdf]. Steury, B. W., T. C. MacRae & E. T. Oberg. 2012. Annotated list of the metallic wood-boring beetles (Insecta: Coleoptera: Buprestidae) of the George Washington Memorial Parkway, Fairfax County, Virginia. Banisteria 39:71-75 [pdf]. MacRae, T. C. 2012. Occurrence of Cicindelidia ocellata rectilatera (Chaudoir) (Coleoptera: Cicindelidae) in Arkansas. Cicindela 44(3/4):49-54 [pdf]. MacRae, T. C. & C. L. Bellamy. 2013. Two new species of Actenodes Dejean (Coleoptera: Buprestidae) from southern Mexico, with distributional and biological notes on Buprestidae from Mexico and Central America. The Pan-Pacific Entomologist 89(2):102-119 [pdf]. MacRae, T. C. & J. P. Basham. 2013. Distributional, biological, and nomenclatural notes on Buprestidae (Coleoptera) occurring in the U.S. and Canada. The Pan-Pacific Entomologist 89(3):125-142 [pdf]. MacRae, T. C. 2014. Acmaeodera chuckbellamyi MacRae (Coleoptera: Buprestidae: Acmaeoderini), a new species from Arizona, USA. The Coleopterists Bulletin 68(1):50-52 [pdf]. MacRae, T. C. & B. D. Heinold. 2014. First records of Ptilophorus wrightii (LeConte 1868) (Coleoptera: Ripiphoridae) in Colorado and Oklahoma, with observations of female behavior. The Pan-Pacific Entomologist 90(1):47-52 [pdf]. MacRae, T. C. 2004. Review of: An Illustrated Summary of the Higher Classification of the Superfamily Buprestoidea (Coleoptera) by C. L. Bellamy, Folia Heyrovskyana, Supplementum 10, 197 pp. (2003). The Coleopterists Bulletin 58(1):47-48 [pdf]. MacRae, T. C. 2004. Review of: Coleotteri Bupresidi dItalia, by G. Curletti, M. Rastelli, S. Rastelli, and F. Tassi, Piccole Fauna, Museo Civico di Storia Naturale di Carmagnola (Torino), Progetto Biodiversità (Roma), CD-ROM (2003). The Coleopterists Bulletin 58(3):391-392 [pdf]. Walters, G. C., Jr., R. L. Westcott, S. G. Wellso, J. M. Cicero, T. C. MacRae & C. L. Bellamy. 2006. Gayle H. Nelson (1926-2005): biography and memories, taxa and publications. The Pan-Pacific Entomologist 82(2):116-135 [pdf]. Westcott, R. L., S. Bílý, A. R. Cline, S. D. Gaimari, H. Hespenheide, T. C. MacRae, M. G. Volkovitsh, S. G. Wellso & G. Williams. 2014. 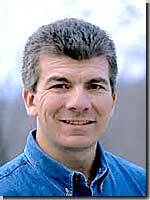 In Memoriam: Charles Lawrence Bellamy (1951-2013). The Coleopterists Bulletin 68(1):1-13 [pdf]. MacRae, T. C. & C. R. Brown. 2001. Missouri Tigers. Missouri Conservationist 62(6):14-19 [full text]. MacRae, T. C. 2004. A new beetle for Missouri - with a twist! Nature Notes, Journal of the Webster Groves Nature Study Society 76(4):1, 12-13 [pdf]. MacRae, T. C. 2004. Beetle bits: Hunting the elusive "hibiscus jewel beetle". Nature Notes, Journal of the Webster Groves Nature Study Society 76(5):4-5 [pdf]. MacRae, T. C. 2004. Beetle bits: A day with tomorrow's entomologists. Nature Notes, Journal of the Webster Groves Nature Study Society 76(6):4-5 [pdf]. MacRae, T. C. & C. R. Brown. 2004. Bugs and birds: A nexus in Texas. Nature Notes, Journal of the Webster Groves Nature Study Society 76(10):2-6 [pdf]. MacRae, T. C. & C. R. Brown. 2005. Bugs and birds: A nexus in Texas (part 2). Nature Notes, Journal of the Webster Groves Nature Study Society 77(10):4-10, 14 [pdf]. MacRae, T. C. & C. R. Brown. 2006. Bugs and birds: A nexus in Texas (part 3). Nature Notes, Journal of the Webster Groves Nature Study Society 78(1):13-15 [pdf]. MacRae, T. C. 2006. Beetle bits: The "beautiful tiger beetle". Nature Notes, Journal of the Webster Groves Nature Study Society 78(4):9-12 [pdf]. Thoma, R. S. & T. C. MacRae. 2008. Tiger beetle hunting in Nebraska. Nature Notes, Journal of the Webster Groves Nature Study Society 80(1):4-6 [pdf]. MacRae, T. C. 2009. Cicindela cursitans in Missouri. Nature Notes, Journal of the Webster Groves Nature Study Society 81(4):7-9 [pdf]. MacRae, T. C. 2009. A unique population of festive tiger beetlein southeastern Missouri. Nature Notes, Journal of the Webster Groves Nature Study Society 81(5):10-12 [pdf]. MacRae, T. C. 2009. Typocerus deceptus in Missouri. Nature Notes, Journal of the Webster Groves Nature Study Society 81 (6/7):3-5 [pdf]. MacRae, T. C. 2009. Revisiting the Swift Tiger Beetle. Nature Notes, Journal of the Webster Groves Nature Study Society 81 (8):13-16 [pdf]. MacRae, T. C. 2009. North America's most beautiful longhorned beetle. Nature Notes, Journal of the Webster Groves Nature Study Society 81(9):8-12 [pdf]. MacRae, T. C. 2010. Sanctuary for the Betulaceae. Nature Notes, Journal of the Webster Groves Nature Study Society 82(1):7-12 [pdf]. MacRae, T. C. 2010. Crystallofolia ("frost flowers"). Nature Notes, Journal of the Webster Groves Nature Study Society 82(3):10-12 [pdf]. MacRae, T. C. 2010. The "overlooked, needle-tailed, thick-headed fly". Nature Notes, Journal of the Webster Groves Nature Study Society 82(3):13-14 [pdf]. MacRae, T. C. 2010. Hawn State Park - winter hiking at its finest. Nature Notes, Journal of the Webster Groves Nature Study Society 82(4):7-10 [pdf]. MacRae, T. C. 2010. Do you have "An Inordinate Fondness"? Nature Notes, Journal of the Webster Groves Nature Study Society 82(4):10-11 [pdf]. MacRae, T. C. 2010. Ozark Trail - Marble Creek Section. Nature Notes, Journal of the Webster Groves Nature Study Society 82(6):10-14 [pdf]. MacRae, T. C. 2010. The marvelously cryptic Dicerca lurida. Nature Notes, Journal of the Webster Groves Nature Study Society 82(8):13-14 [pdf]. MacRae, T. C. 2010. Rejoicing the end of summer. Nature Notes, Journal of the Webster Groves Nature Study Society 82(8):14-15 [pdf]. MacRae, T. C. 2010. Jeepers Creepers, where'd ya get those multilayered retinae? Nature Notes, Journal of the Webster Groves Nature Study Society 82(9):11-12 [pdf]. MacRae, T. C. 2010. Are we loving our prairies/glades/woodlands to death? Nature Notes, Journal of the Webster Groves Nature Study Society 82(9):13-16 [pdf]. MacRae, T. C. 2011. Desmocerus palliatus - elderberry borer. Nature Notes, Journal of the Webster Groves Nature Study Society 83(2):11-12 [pdf]. MacRae, T. C. 2011. North America's largest stag beetle. Nature Notes, Journal of the Webster Groves Nature Study Society 83(2):12-13 [pdf]. MacRae, T. C. 2011. "Rush skeletonplant pea gall wasp." Nature Notes, Journal of the Webster Groves Nature Study Society 83(3):13-14 [pdf]. MacRae, T. C. 2011. Is Missouri's disjunct population of Johnson's tiger beetle extirpated? Nature Notes, Journal of the Webster Groves Nature Study Society 83(4):12-14 [pdf]. MacRae, T. C. 2011. Two things I love about fall. Nature Notes, Journal of the Webster Groves Nature Study Society 83(3):15-16 [pdf]. MacRae, T. C. 2011. Isn't she splendid?! Nature Notes, Journal of the Webster Groves Nature Study Society 84(1) :8-9 [pdf]. MacRae, T. C. 2012. Different jaws for different jobs. Nature Notes, Journal of the Webster Groves Nature Study Society 84(2):12-13 [pdf]. MacRae, T. C. 2012. Oedipodine Rex. Nature Notes, Journal of the Webster Groves Nature Study Society 84(4):12-14 [pdf]. MacRae, T. C. 2012. Swift Tiger Beetle: species on the brink. Nature Notes, Journal of the Webster Groves Nature Study Society 84(5):10-12 [pdf]. MacRae, T. C. 2012. Friday Flower: Phacelia purshii. Nature Notes, Journal of the Webster Groves Nature Study Society 84(6):12-13 [pdf]. MacRae, T. C. 2012. Tiger Beetles in southeast Missouri. Nature Notes, Journal of the Webster Groves Nature Study Society 84(6):13-15 [pdf]. MacRae, T. C. 2012. Dicerca pugionata - safe and sound! Nature Notes, Journal of the Webster Groves Nature Study Society 84(8):15-16 [pdf]. MacRae, T. C. 2012. Upside down bee fly. Nature Notes, Journal of the Webster Groves Nature Study Society 84(8):16-17 [pdf]. MacRae, T. C. 2012. Beetle botanists. Nature Notes, Journal of the Webster Groves Nature Study Society 84(9):13-14 [pdf]. MacRae, T. C. 2012. A classic fall bycid. Nature Notes, Journal of the Webster Groves Nature Study Society 84(9):14-15 [pdf]. MacRae, T. C. 2012. Ghosts in the night. Nature Notes, Journal of the Webster Groves Nature Study Society 84(10):9-11 [pdf]. MacRae, T. C. 2013. Life at 8X: hibiscus flea beetle. Nature Notes, Journal of the Webster Groves Nature Study Society 85(1):11-13 [pdf]. MacRae, T. C. 2013. Dainty, delicate, little fairies. Nature Notes, Journal of the Webster Groves Nature Study Society 85(2):13-14 [pdf]. MacRae, T. C. 2013. Backyard gems. Nature Notes, Journal of the Webster Groves Nature Study Society 85(5):12-15 [pdf]. MacRae, T. C. 2013. My favorite of Missouri's milkweeds. Nature Notes, Journal of the Webster Groves Nature Study Society 85(6):10-11 [pdf]. MacRae, T. C. 2013. Agrilus fuscipennis on persimmon. Nature Notes, Journal of the Webster Groves Nature Study Society 85(8):13-15 [pdf]. MacRae, T. C. 2013. It's a MayflyЕIt's a MothЕIt's Thyridopteryx! Nature Notes, Journal of the Webster Groves Nature Study Society 85(10):14-16 [pdf]. MacRae, T. C. 2014. A winter longhorned beetle. Nature Notes, Journal of the Webster Groves Nature Study Society 86(1):13-14 [pdf]. MacRae, T. C. 2014. I'm a fun guy. Nature Notes, Journal of the Webster Groves Nature Study Society 86(2):14-15 [pdf]. MacRae, T. C. 2014. Pop! goes the beetle. Nature Notes, Journal of the Webster Groves Nature Study Society 86(5):11-12. [pdf]. MacRae, T. C. 2012. Letter from the Managing Editor. The Pan-Pacific Entomologist 88(1):103-104 [pdf]. MacRae, T. C. 2012. In memorium: Richard L. Penrose (1943-2011). The Pan-Pacific Entomologist 88(2):i [pdf]. MacRae, T. C. 2012. Letter from the Managing Editor. The Pan-Pacific Entomologist 88(4):437-438 [pdf]. MacRae, T. C. 2013. Letter from the Managing Editor. The Pan-Pacific Entomologist 89(4):267-268 [pdf]. Gamundi, J. C., A. M. Molinari, E. J. Pochettino, S. Riart, S. M. Zampierin & T. C. MacRae. 2001. Geographic variation in susceptibility of Rachiplusia nu (Lepidoptera: Noctuidae) to Bacillus thuringiensis toxin Cry1Ac in Argentina. Annual Meeting of the Entomological Society of America, San Diego, California, December 9-12, 2001 [ description]. MacRae, T. C. & C. R. Brown. 2001. A survey of Missouri tiger beetles (Coleoptera: Cicindelidae). Annual Meeting of the Entomological Society of America, San Diego, California, December 9-12, 2001 [description]. MacRae, T. C., C. R. Brown & K. Fothergill. 2010. Cylindera cursitans: Distribution and Seasonal Occurrence in Southeast Missouri. Annual Meeting of the Entomological Society of America, San Diego, California, 12-15 December 2010 [abstract , pdf]. MacRae, T. C., T. L. Clark, T. Galvan, S. Martinelli, D. Stojsin & X. Ye. 2012. MON 87701 Soybean expresses near-high dose of Cry1Ac against two important lepidopteran pests. Annual Meeting of the Entomological Society of America, Knoxville, Tennessee, 15 November 2012 [abstract ]. Gamundi, J. C., S. M. Riart, T. C. MacRae & S. Zampierin. 2004. Geographic variation in susceptibility of Epinotia aporema (Lepidoptera: Olethreutidae) and Rachiplusia nu (Lepidoptera: Noctuidae) to Bacillus thuringiensis toxin Cry1Ac in Argentina. In Proceedings of the VII World Soybean Research Congress, March 1-6, 2004, Iguassu Falls, Brazil.